Learn a new letter each month from Greek ‘n Stuff, or work on learning the whole Greek alphabet at once. Unscramble the names of Greek letters and connect to the correct symbol. a product that has been providing easy keyboard input and specialized fonts for scholars of ancient (polytonic) Greek since 1984. For most of its history it has been a Macintosh-only product and until a few years ago it exploited a custom encoding for polytonic Greek that was widely used, but is incompatible with modern standards. From the time of the release of GreekKeys 2005 for Mac OS X, GreekKeys fonts and keyboards have supported instead the use of Unicode as the proper standard for polytonic Greek. Be sure to look at the “What’s New” column on the right. 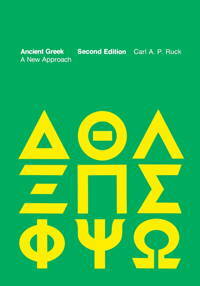 The following pages provide installation and usage instructions on reading, writing and printing in Greek, as well as some tips on how to email in Greek, and spell check your Greek text..
Ruck’s innovative approach makes Ancient Greek: A New Approach useful not only in the classroom but for general self-instruction as well. OpenLearn Works. Takes about 10 hours to complete. Intermediate level. The ‘tools of the trade’ for classical language learning are a little different, and you will need to develop new skills – of which the most basic are actually the most important since they underpin everything else you will do as you progress through the course. LiveMocha. The Greek language holds a preeminent place in Western history and culture. From poetry (poiesis) and philosophy (philosophia) to politics (politika), economy (oikos) and technology (technologia), many of the terms and concepts we use today can be traced back to ancient Greece. Once you’ve tried the introductory lessons have a go at our new Interactive Activity Centre. The Activity Centre is made up of fun interactive activities for learning Greek. The activities are aimed at 6-7 year olds, but anyone who is interested in the Greek Language can have a go.